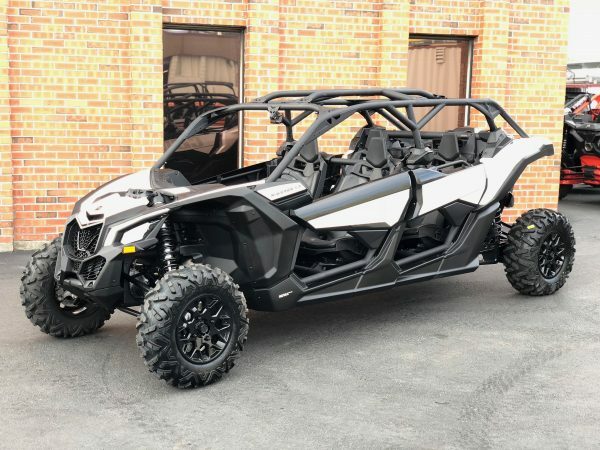 This Can-Am Maverick X3 Max Turbo can seat 4 people, and is equipped with a full roll cage and passenger grab bars for enhanced safety. See additional related products below, the X3 can also be rented along with our ATVs, or additional UTVs for a group rental. We also have Motorhomes & Toy Haulers that you can use to transport the unit. Don’t need an RV? We Rent Flatbed & Enclosed Trailers as well! Rent the Can-Am Maverick X3 Turbo & head to any riding area of your choosing. Some popular riding areas for this unit are: Pismo (Oceano Dunes SVRA), Hollister (Hollister Hills SVRA), Carnegie, Frank Raines, Cow Mountain, Stony Ford, or Glamis.